This page is an introduction to the sculpture techniques I use when working with ceramic modeling clay. Most of the techniques are common to all types of clay, but some are more effective with ceramic clay. 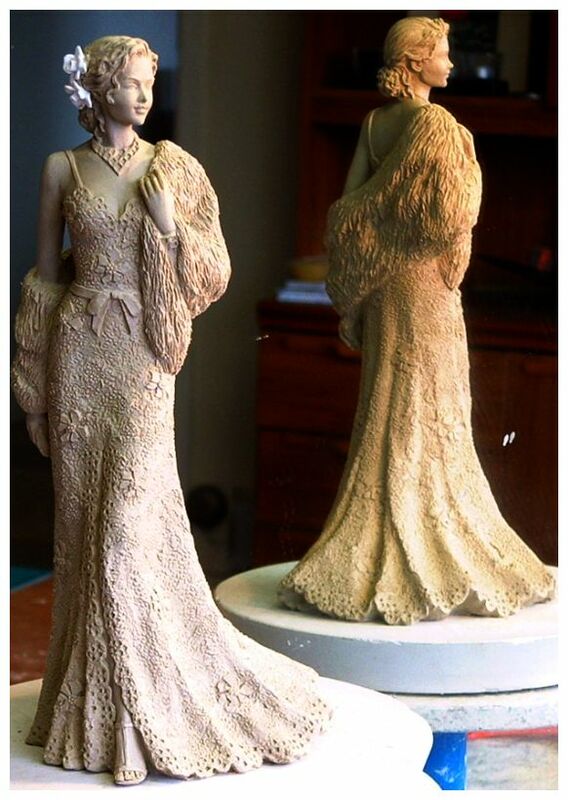 People often ask me whether I carve the clay by cutting into it, or model by adding the clay on. The short answer I use both methods pretty much equally - but I use others too. 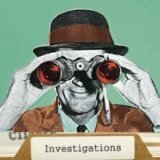 Here is a list of all the techniques I use. I will then go on to explain each one in a bit more detail. Some of the above are pretty obvious and intuitive, but some need a bit more explaining as they only come with a bit more trial and error. Its just you, your tools and a bag of fresh clay. A bit daunting? Like a blank sheet of paper for a writer. My way of getting over this major first hump for my sculpture technique is to have my references right there - thrusting their way into my consciousness. You need technical references for scale and key measurements. But you also need your artistic references, of course. 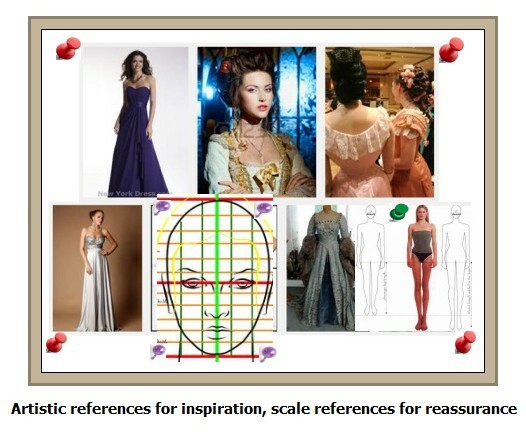 The artistic references inspire, the technical references reassure. This is all part of the mental aspect of sculpture technique (perhaps the single most important aspect). OK, references all set up? 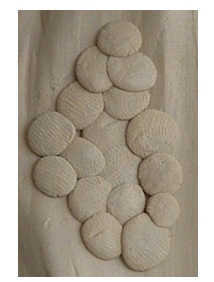 Using the fresh soft malleable clay as your friend you can now push and manipulate the clay into a rough shape. Everything can be amended from here, so don't worry too much - it's a bit like an artist slopping on the first layer of paint for the background. This first layer of clay gives you a base on which to work, a bit like the foundations of a house. If you are doing a human figure, mark off how high the shoulder will be and where the hips are in proportion etc (they don't actually have to look like what they are supposed to be yet). Don't try to fiddle with detail at this stage, just mark off dimensions in a pragmatic way (I use dividers ). There's plenty of time for getting all arty later. You should now have something that looks like the cat dragged in, but who cares? Lots of beginners give up with their sculpture technique right here, because they haven't produced something beautiful yet! Leave your 'background' to harden off a bit until it isn't so sloppy and has enough resistance to apply more clay without bending or collapsing. Don't let it become too dry though because once it has dried beyond a certain point it loses some of its plasticity and is no good for modelling. Ceramic clay only sticks to itself properly only if both items are wet. 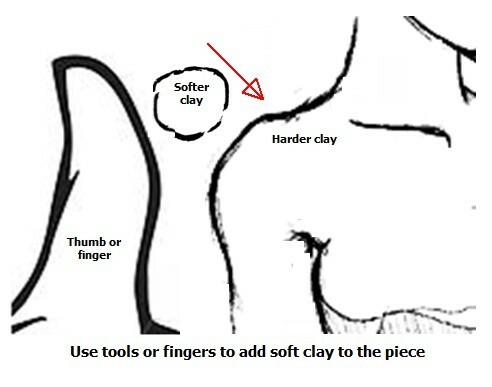 In the early stages of a sculpt, you may have to add soft clay to soft clay. In this case, of course, you don't need to wet the clay to get it to stick together. However, it becomes awkward because the base clay you are adding onto is still a bit too flexible and moves when you don't want it to. In this instance, you can add the clay carefully in balls or pellets of clay and not press too hard. Once under-way though, you are normally adding softish clay from the bag to slightly hardened off clay on the sculpt. 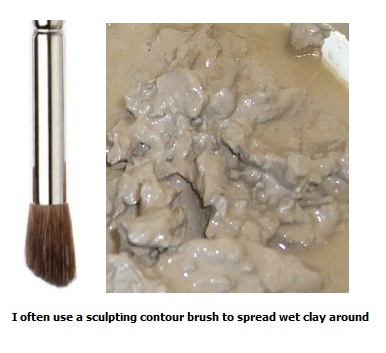 In this case you have to wet the harder clay with a brush, or use some clay slurry or slip as a binder. You can add the fresh softer clay to the harder clay using either fingers or tools, or a brush depending on what area you are working on. I often apply water to merge the fresh clay in with the old. As I said, you will have to add & subtract clay in equal measure when you are progressing a piece and this is the main thing to take from this article on sculpture technique. If either your eye or your carefully scaled measurements tell you a piece of clay should not be on your sculpture, remove it with a cutting or scraping tool. 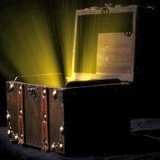 Some tools are designed to take away large chunks and some are for tiny little adjustments. Sculpture technique best practice is about balancing the two. Simply think about the job you need to do and grab a tool best suited to the task. You may need to experiment. Wire cutters come in various forms, from cheese wire for cutting large blocks of clay to the tiny cutters I use for fine tuning small facial contours. Ribbon cutters have flat cutting blades and are inherently stronger and sharper than wire tools of the same type. 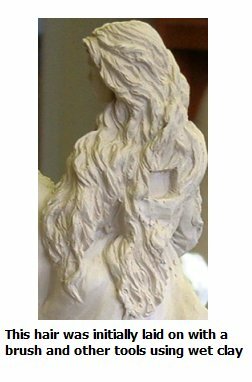 There is one technique (not that well known) which entails the working of much softer and more pliable clay onto your piece for certain jobs (like a lady with lots of flowing hair, or frills, or dress folds). 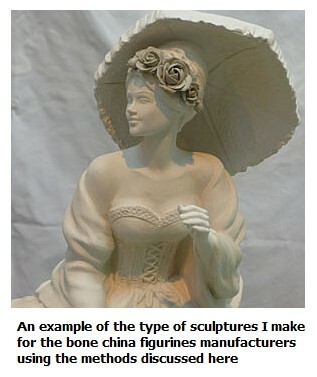 I find this sculpture technique is where ceramic clay comes into its own, although it can also be done by heating up oil-based clays like plasteline. Soften up some of the clay by adding some extra water and soaking overnight. 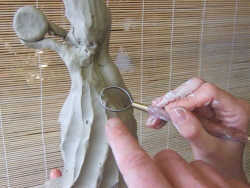 Then add to your sculpt where the clay has had a chance to become more firm. Simply push and pull and move the pliable clay into the desired position - adjust, compose, create to your heart's content with the squidgy clay. As the clay gradually dries it will shrink back to some interesting shape details. When the clays have merged back to the same consistency and the soft additions are now workable with a tool, go with the flow and work this randomness into lovely delicate detail. There may be some cracking to attend to - but simply press in a tool to the crack to consolidate and then fill. Once your piece is getting a bit further advanced, you may be aware that something doesn't look quite right (if you are brutally honest - which you need to be). Some surgery is required (at least that happens most times with me). Using your potters knife never be scared to cut off whole sections and rejoin (using wet slurry and scoring). Normally, unlike plasteline and polymer clays, there is no need for internal armatures if you use ceramic clay, just the odd prop here and there. So this gives the modeller almost infinite ability to adjust, tweek and re-model a sculpt until it is just right. An armature restricts this ability somewhat. "I don't like it, it just doesn't have the right feeling". They then throw the piece away and start again. 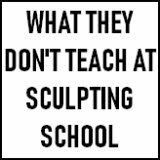 I ran some sculpting classes once and saw this happen with my own disbelieving wide eyes. Nothing I could say could persuade this type of person from this type of goofy behavior. Why make a complex task even more complex? Just have good references and go through the process systematically. Forget artiness. That's why I gave up teaching as you just can't tell some people. Starting again just does not come into my vocabulary, unless the work has dried out too much (a very rare occurrence). That is, as long as you are managing your clay properly and lightly spraying little and often to keep it at the correct working consistency (not too wet and not too dry). 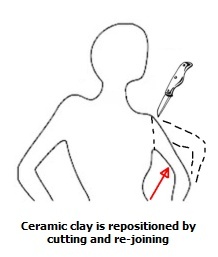 This ability to easily correct and adjust constantly is the essence of sculpture technique using ceramic clay. However, the principle to note is much of the most intricate detailing is not done actually on the piece. All these were all done separately. then click on the expand button to see close up. Face, hands, lacing and flowers were then added to the sculpt at different stages. Treated as separate items, the tricky bits are accessible to being worked on properly. The hair was done on the piece. The small lace effect all over the dress was done by pressing in a plastic fabric material. With ceramic modeling clay you can add or remove clay to your hearts content as long as you keep the clay in good workable condition. Some sculptors like to have the option of adding very soft pliable clay to already hardened off clay - this works particularly well if sculpting fabric, hair or anything intricately random. Oil clays will need to be warmed up (I have tried this - and it is rather fiddly). For me, ceramic clays lend themselves to all types of sculpture technique with the exception of the sorts of details fantasy comic artist portray (like guns and other types of precision mechanical detailing). With ceramic clay, you make a structure, harden it off bit, then add softer clay to push and manipulate into the desired effect and remove clay you don't should be there. I don't have to fire my sculpts as moulds are taken so be cautious if you are planning to fire. Experiment first and read the hollowing section.